What is the Biggest Resilience Challenge for Female Leaders? Our work with clients has shown that when people are provided with the right tools to develop appropriate Resilience to stress and high pressure, they will step up to the next level of performance more easily. How far do your talent pipeline have sufficient Resilience to take the necessary steps outside their comfort zone? How do Leaders role model Resilience to manage the inevitable challenges in their career journey? What role does sponsorship and mentoring play in the Female Leadership journey? What actions are being undertaken to promote organisational health and wellbeing? How far does improving Resilience lead to a greater ability to sustain chosen career paths? 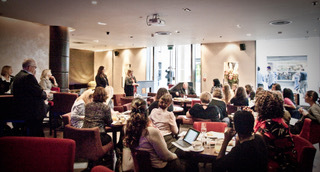 Our round-table events take place all year round. News on future events will be sent out via email so please sign up and join the debate today.